I was reading a post from Steve Sjogren’s blog, Confessions of a Stumbling Servant, and he had a great post about the importance of using different outreach approaches in your ministry because different people are attracted by different things. This is true online as well, maybe even more so online. Not everyone is on Twitter. Some people rarely use Facebook. Some people search in the search engines for a church while others use church directories or the online Yellow Pages. Some people would love to participate in a webinar about various theological topics while others hear the word Theology and run for the hills. So, it’s important to use a variety of online channels to reach people and a variety of Internet outreach approaches. While using different approaches and different channels is good and can help you reach more people and different types of people, if you do too many different things, you can end up doing them all poorly. For example, Twitter and Facebook have the best results when a church actually interacts with people through those channels. If someone sends a direct message in Twitter, the church should respond within a short period of time. Responding to posts on the church FB Page and creating discussions make Facebook more effective. But if your church is trying to use so many channels that no one ever really when someone tries to use Twitter or Facebook to contact the church, that can be worse than not using those channels at all. So, be sure not to do so many things that all of them end up being mediocre at best. 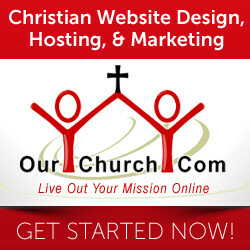 How does your church decide when to use a new online channel or try a new form of outreach? I too believe in variety is the essence of life. Mediocrity makes life dull and boring. Thanks for the post, it is very interesting!! "…if you do too many different things, you can end up doing them all poorly" – nothing to say. I'm absolutely agree with you. But contacting your church with Twitter?.. Honestly telling for me it sounds too unnaturally.